Dr. Cristy Pierce is a licensed psychologist and board certified behavior analyst. 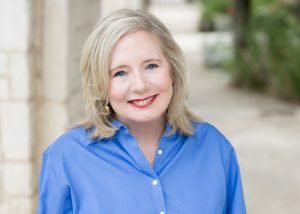 She obtained her doctorate degree in health psychology from the Georgia School of Professional Psychology and completed the online behavior analysis program at the University of North Texas. Dr. Pierce provides a range of treatment services including psychological assessments, psychotherapy, and applied behavior analysis. For clients seeking a full service psychological assessment report, Dr. Pierce can complete formal testing for many reasons including autism and ADHD evaluations, behavior problems, general personality and emotional functioning, cognitive and dementia evaluations, intellectual functioning, disability evaluations, neuropsychological screening, and others. When scheduling an assessment, please provide information regarding the purpose of the testing. Note that Thriveworks does not provide assessments for forensic/court-ordered assessments or child custody evaluations. In addition to providing thorough assessments for clients of all ages, Dr. Pierce is also trained as a board certified behavior analyst. She can assist with changing challenging behaviors and frequently incorporates parent support in developing behavior management strategies. As a health psychologist, Dr. Pierce has a passion for working with young adults who are newly diagnosed with serious medical or mental illness. She also provides support to their families related to managing this disability. She can help them overcome the depression that frequently accompanies new diagnoses and help them to overcome these barriers so they can live the life they want to live. Kamini Verma is a Licensed Clinical Social Worker and is working towards becoming a Registered Play Therapist. She obtained her master’s degree in clinical social work from University of Texas Steve Hicks School of Social Work and her undergraduate degree in Psychology and English from Southwestern University in Georgetown, TX. Kamini is also a Trust Based Relational Intervention ® Certified Educator and Board Approved Clinical Supervisor. She has attended level one training for Theraplay interventions. Kamini worked for eight years as an advocate for children in the foster care system before transitioning to helping children in residential care with neurobehavioral concerns. Kamini is passionate about assisting children and their families through periods of healing, development and growth. She has 10+ years of experience working with children, adolescents and their families on topics related to healing from trauma and abuse, crisis intervention, creating home stability, adoption, attachment, grief and loss, mindfulness and questions of sexuality. Kamini utilizes a variety of therapeutic interventions including, child-centered play therapy, experiential play therapy, solution-focused therapy and cognitive behavioral therapy with children and teenagers. Kamini is currently focusing her practice on children aged from 5-12 years old. 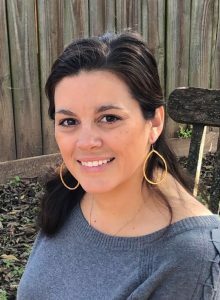 Marisa Ybarra is a Licensed Professional Counselor with a masters in Counseling from the University of Texas A&M Central Texas. 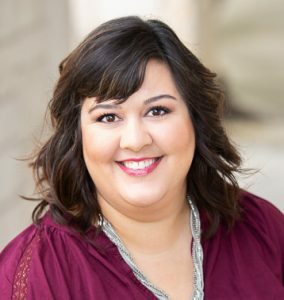 Marisa has worked for many years with adolescents and children who are experiencing depression, anxiety, anger, low self-esteem, opposition/defiance, and family issues. She works with families on skill building in the areas of communication, conflict resolution, setting and following home expectations and responsibilities, among others. Marisa’s approach to therapy combines person-centered and solution-focused approaches. She utilizes play therapy with younger clients and applies frameworks such as cognitive behavioral therapy, family systems and narrative therapy to help her clients set goals and work through the blockages that keep them from success. Marisa also enjoys working with young adults in college or making challenging transitions in their lives and overall wellness. She has many years of experience working with children, teenagers and their families. She can help your family work through difficult life events such as divorce and issues of custody. She can help your child find relief from the depression and anxiety that makes them feel left out and feel “different.” She can help your family cope and manage the challenges of ADD/ADHD, ODD, autism, and attachment disorder. Elijah Stinger is a Licensed Clinical Social Worker and is a graduate of the Abilene Christian University School of Social Work. For the last 7 years, Elijah has helped clients of all ages navigate various mental illnesses or emotional distress at inpatient and outpatient levels of care. During this time she has provided individual, family, and group therapy within a psychiatric hospital. Previously, she spent 2 years in fieldwork facilitating family reunification, being culturally sensitive to acculturation issues and mentoring at-risk youth. As an individual who has sat on both sides of the therapeutic relationship, Elijah is an approachable, down-to-earth, warm, and supportive social worker and therapist who brings a balanced sense of relief and humor to the therapy room. One of Elijah’s gifts is putting new patients at ease during their first session. She understands that opening up to a stranger can be difficult and uncomfortable, so developing an immediate rapport with clients is an important part of her therapeutic process. 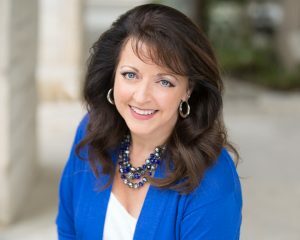 Her approach is person-centered, adapting to clients’ individual needs while primarily operating from a cognitive behavioral (CBT) or a dialectical behavioral (DBT) framework with an emphasis on generating creative and practical strategies to ease presenting issues, adjust thoughts and behaviors that create obstacles to wellness, and to help you find some relief. She assists clients in managing distress, regulating their emotions, and maintaining positive interpersonal relationships. She works with individuals and couples seeking help with a variety of issues, including depression, anxiety alleviation, strengthening self-esteem, assertiveness, creating and maintaining healthy boundaries, social anxiety, relational difficulties, and personal growth. Elijah has a passion for working with members of the LGBTQ+ community, young persons in the midst of emerging into adulthood, and those wishing to explore their experiences and make meaning of life’s inevitable struggles. Shy or have social anxiety? Susan Wills has overcome this and can help you, too. Susan is a Licensed Professional Counselor who works with clients who are seeking: Increased Self-Confidence, Integrity, Wealth, Friends, Satisfying relationships, A family, and A job you love that fills your life with meaning. Her pursuit of a meaningful life is never ending and she has attended more workshops, trainings, counseling groups, and coaching than we can list here. If you are looking for new information, new tools to cope, and a new way to achieve the happiness you want and deserve in life, let's start working together! Some of Susan's professional training experience and specializations include: Addiction Recovery, Confidence building and self-esteem, Creating a mentally healthy home (including dealing with toxic relatives), Marriage counseling and relationship repair. Managing chronic pain, Healing your past, and Taking yourself from failure to success. Susan works with families and children ages 5 and above, so she can work through any type of parenting and family issues, couples and relationship issues and more. Susan has immediate openings and looks forward to meeting you soon! 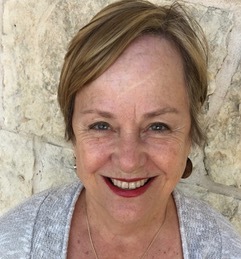 Ann K. White is a Licensed Professional Counselor providing individual therapy to people with a range of concerns from substance use to bipolar disorder. She offers a person-centered approach in a safe environment to explore, express, and motivate an individual toward personal growth and understanding. She uses a collaborative approach to therapy that is client-driven, and strength-based recognizing each person is unique and requires different methods to find change in their current life status. Ann has a Master’s degree in Education from the State University of New York at Plattsburgh and a Master’s in Mental Health Counseling from Argosy University in Sarasota, Florida. 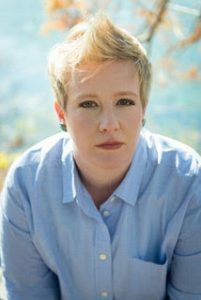 She has worked in a variety of settings in Florida and Texas including residential treatment centers for substance use, anxiety, depression, schizophrenia, and bipolar disorders. She has a knowledge base of 12 step programs as well as alternatives. She has provided psycho-education, individual and group therapy. Ann utilizes evidence-based therapies to include: Motivation Interviewing, Solution-Focused Brief Therapy, Positive Psychology, Cognitive Behavioral Therapy, and Dialectical Behavioral Therapy. Rhonda Griffin, LPC has been a licensed professional mental health counselor for 23 years. She has a master's in Applied Behavioral Science from Bastyr University in Seattle, Washington. She has taught counseling and supervised intern graduate students. Rhonda engages easily with compassion and a warm sense of humor. A harmonious blend of west coast perspective with Texan common sense. She brings practical skills and knowledge to her clients for problem solving using various modalities. A Systemic Family practitioner, she also uses Cognitive Behavioral, Dialectic Behavioral, Jungian, and Emotion Focused Therapy. As a systems therapist, she investigates the family, social and cultural history of clients to understand the challenges they are facing. Awareness of these perspectives and influences of old coping patterns gives individuals the opportunity to develop new interpersonal skills, self awareness, self-acceptance and strengthened relationships. The Gottman Institute located in Seattle was also influential in developing Rhonda's interest in working with couples. She finds couples counseling is especially rewarding and enjoys facilitating the creation of secure, lasting bonds between intimate partners. She is uniquely able to hold the two perspectives of each member while cultivating communication skills and re-connection. Adult Children of Narcissists is a growing area of specialty that Rhonda is particularly skilled as a family systemic therapist. This work is especially helpful for clients that have suffered from narcissistic parenting behaviors that perpetuate detrimental patterns in their own adult relationships. Rhonda is also an accomplished vocalist and performer who participated in several bands while in the Seattle area and plans to pursue her musical interests in Austin. 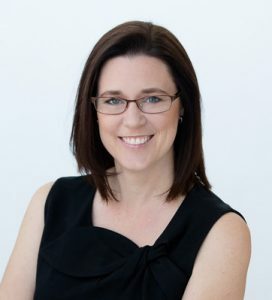 Felicia Gledhill, LPC, NCC is a Licensed Professional Counselor and a National Board Certified Counselor who relocated from Florida where she was a well-respected mental health counselor and educator. Her clinical work has been with adolescents, young adults, adults, couples and families. She considers herself a provider of relationship counseling. Felicia is a graduate of Troy State University in Florida with a Master of Science in Counseling & Human Development. Additionally, Felicia is a native Spanish speaker. Are you trying to cope with family conflict or relationship issues? 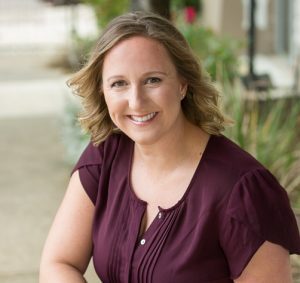 Ms. Gledhill specializes in couples counseling, divorce recovery, blended families and working with mood disorders, trauma, sexual addictions, compulsivity and sexual abuse. If you are looking for an experienced, compassionate provider who has knowledge of the court systems and how to help couples, families and children navigate the systems, then contact Felicia. She has experience teaching parenting groups and facilitating grief recovery as well. Some of her work has been with veterans and others suffering from PTSD and trauma. She will work with students who are experiencing emotional distress due to environmental factors and hardships. Felicia considers herself an innovator in choosing proven treatment modalities to fit each unique client. She has worked with high-profile divorce cases and can work with the parents and children in these cases plus she can help develop effective parenting plans. Many times the parties resolved their disputes and avoided further litigation.